Final Build Example Notes Standard Build for a Ratatoskr solo. The last item is totally situational, in this case I chose Magi's Cloak to avoid hard cc. If available, sell Acorn of Yggdrasil to buy Masamune late game after you buy the Elixir of Speed. Starter Notes Standard start to stay alive until you get your acorn online. You don't need Mana Potions because you have blue buff and also don't need to return base to buy your acorn, so buy a lot of sustain. You can also buy some Tier 1 Defense and less potions. Bridge Items Notes Items to help you at early game with a consider stats and passives for the price but not so helpful at late game so consider replacing it. If you are facing a physical enemy, Gladiator's Shield is a CORE/MUST ITEM until late. Defensive items Notes Pestilence is a core item if you are fighting against a healer. This items will offer the protections you need or other important stats for a solo such as health pool. Extreme Tank build example Notes Situational build. The recommended is always a bruiser build. This build will max you tank capabilities and you will use your kit for the utility proposes only 'cause your damage will be too low. You will not be able to secure a kill easily or do a decent damage like you would if you did a bruiser build. If available, sell Acorn of Yggdrasil to buy Magi's Cloak late game after you buy the Elixir of Speed. Normal tank build Notes Normal tank build with a little power. If the enemy has no/low cc, change Magi's Cloak in another defense item. If available, sell Acorn of Yggdrasil to buy Magi's Cloak (or another situational item) late game after you buy the Elixir of Speed. Damage build example Notes If you got brainless enemies and/or the match is too easy, you can rush more damage than the normal. Alternative Build (using SE) Notes This is an alternative for the standard build example that uses Gladiator's Shield to sustain you. This one will use Soul Eater. Sell Acorn of Yggdrasil to buy Masamune late game after you buy Elixir of Speed. The start can be Bound Gauntlet + Chalice of Healing + some Multi Potions or Healing Potions. Then you decide finish Acorn of Yggdrasil first or Soul Eater. Alternative Build 2 (Hybrid Tank) Notes Build made to you feel that you are playing with a warrior. Good tank and also decent damage. sell Acorn of Yggdrasil to buy Masamune after you buy Elixir of Speed. Maybe his stun be a problem to you. Avoid his ultimate waiting he press the button, then you dash out of his range. He has damage but you have more, probably you won't have problems to kill him/win the lane. She will not die until you have Brawler's Beat Stick but also will not be a problem. Her main damage source can be avoided by just walking away. Just be careful with her ultimate. Try to force it before go to a final strike (a tower dive for example). Ancile is a must item when fighting against her. Although she is annoying to fight is not too difficult since she do not have a high damage early game and his skills can be countered by Ancile. Hard to kill but easy to put pressure. Avoid his ultimate using your or dashing away. Remember his ultimate does a lot of damage if he hits all attacks so, be careful. She has a good damage but she need to get close of the wave to clear it, so you can attack her easily. Also she has one of the lowest health pool in the game. Just be careful she can be cc immune with her 2 while in light. Avoid his jump and he has nothing to offer to you. You can get out of his ultimate using TTC. He has a very good kit and probably you won't be able to kill him, but also he does not have nothing that can kill you easily. One of the worst mages to fight against. Extremely annoying. Avoid his ulti with yours and dash away from his root. Try to avoid his 2 to don't heal him. Remember that if he hits his 1, he will decrease your attack speed and damage (why? I don't know why a mage does that but, he does). "Every nerf on him makes him need more nerfs". Bellona is a freaking horse at early game. Avoid fighting without Gladiator's Shield or some defenses and you will be ok. Just try to avoid being pressured by her and is more than enough. He steals your healing so be careful, heal yourself far from him. Due he is a very big target I'm almost sure you will hit all your skills. A fairly pair. You both have damage early game. You will not be able to put pressure but at least you won't will suffer. Remember that your ultimate makes you immune to cc, so you can cancel his silence/slow, but you take the damage anyway. Gladiator's Shield here is essential to heal yourself. Take a beads or use your ultimate when he uses his ultimate. Your Acorn Blast can stop his Brutalize. Just be careful with his jump that stuns and when he upgrade his basics with his 2. Very strong wave clear. Since you won't have physical protections until mid game, be careful with the minions. Avoid his silence and escape of his ulti with your dash/ultimate. Avoid stay close to his tower and be careful with his ulti that you can't avoid easily. He has a anti-heal in his kit so pay attention. High CC and a good early damage. Beads are essential here. Avoid stay close his tower to don't be pushed and try to avoid his Fearless. High damage and high healing. Avoid his paper and be careful with his ultimate, he gains double protections. A tough guy for you. Be careful with his anti-healing with his 1 and his transformation. DO NOT FIGHT WHEN HE IS A MONSTER, mainly on early game or you will die. Very difficult to play with him. His CCs and high damage makes a difficult battle to your side try to play more passive. His knockup and dash with a stun will put you in serious problems if you get too close of his tower. Try to play a little passive against this guy and due the healing he has, killing he will probably be almost impossible. Hard CCs, high base damage with his 3rd skils and when he get 30% CDR or more, it's impossible to you win a 1 vs 1 fight. Her high speed and heal will make kill her a hard task but her kit has nothing that can be a really problem to you, although her ultimate will be something annoying to deal with. She has a bad kit that has no problems to you. The only thing that can be a problem is her ultimate, Sentinel of Zeus that provide a ridiculous shield, saving her life most times. High damage, high healing, can easily avoid your attacks with her 2. Chang'e is a counter of a solo ratatoskr in my opinion. Play safe against her in any circumstance. High CC and High damage. Fight against an Ymir is a true hel. Just accept that you lost the lane and play safe to stay alive. Standard Build Example Notes An Standard build for a jungle Ratatoskr. Everything you need: Cooldown, protections to still alive at late game and power. Start Notes You can also start with a T1 Acorn and Mace or Round Shield/ Enchanted Buckler. Bruiser Items Notes Items that provide power and defenses. If you do Gladiator's Shield, consider replace it late game. Alternative Build Example Notes Shifter's shield provides a very good amount of damage for an early game and if you start to die, it provides some defenses. Full damage build example Notes Warning! With this build you can kill a lot at early and mid game but you will die a lot at late game and won't be able to do anything. Alternative Build 2 Notes This build you will do to eat some as*es on early/mid game and when late game comes you build some protections to stay alive. Recommended when the mid and/or other mages are behind. Can also work very well if you are ahead of the enemy team. If available, sell Acorn of Yggdrasil to buy Mantle of Discord late game after you buy the Elixir of Speed. Alternative Build 3 Notes A build to take advantage of SE + your minor healing. Can be useful for long games since you will sell your acorn late game, SE makes the function of heal yourself with your skill, plus, combined with the defenses you will be almost immortal. Alternative Build 4 (outdated) Notes You can change Gladiator's Shield late game if you want for a tier 3 item, for example, Void Shield. Build by Cyno, the Pro Player, on an SPL game. Alternative Build 5 (outdated)) Notes You can change Gladiator's Shield late game if you want for a tier 3 item, for example, Mantle of Discord if you need to be defensive, Titan's Bane/ Jotunn's Wrath if offensive and Masamune if offensive but also defensive. My name is x MysTeRioN z, and I'm here to bring you this quick guide to play with Ratatoskr on solo lane and jungle. 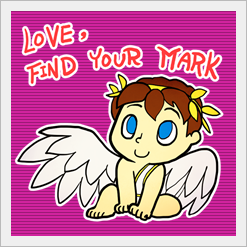 My objective here is be as quick as possible, so I don't want make a long guide (such as Love, find your mark!). I want to pass everything you need to know about this cute little guy to play with him in solo or jungle and without wasting time. Best skin from the Season 5 Vault! Your job as solo is now start fights, tank a little and help your team get kills. You are NOT supposed to be totally tank and frontline in a team fight like a Nike can be. Help people whenever is possible. Remember you have Through the Cosmos, one of the best ultimates in the game, so USE IT. Hold your ultimate in case of ganks (if solo), or hotter situations, 'cause you can really save yourself. I strongly recommend you do some cooldowns. If solo, you can be aggressive and push your lane against your enemy tower and if you see yourself in trouble just retreat using your ultimate or Dart. Doing this you will force your enemy solo stay near the tower more than the normal, lowering the possibilities of he gank/help other lanes. Remember that Elixir of Speed provides only 18% movespeed, while Acorn of Yggdrasil provides 20% and trust me, it does make difference. So I recommend you insert some speed late game to compensate this 2% that makes difference, usually, just buy masumane, an excellent item for him. Ratatoskr replaces boots with a powerful accorn from the tree of world. He can upgrade this acorn from anywhere and when fully upgraded, each time ratatoskr hits anything with a skill he is healed. Useful passive that increases your early pressure. The healing helps at early, plus you can upgrade it out of base, so with a lot of sustain with healing potions and blue buff you can stay much longer at early game than almost any other solo. In jungle, this passive is questionable. Since you need to return base after the first rotation most times, to heal yourself/get some mana, the possibility to buy the acorn outside it does not make that difference. It does difference, but not as solo. The good point is that the minor healing it provides help you clear the camp (almost) without lose HP. Obs. : You need to stop moving to upgrade it. Ratatoskr go ahead dashing forward passing through minions and stopping after traveled 55 unities or hit an enemy god, what happen first. 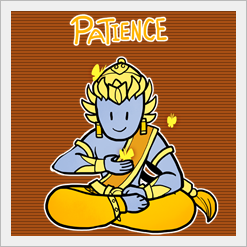 If he hits a god, the god are also slowed for 3 secs. A decent dash with a high cooldown. Use only to escape/slow your target. The slow provided is good, but this is your 3rd priority. Be careful using this cause this dash is not so consistent. Sometimes you pass through the god, sometimes you hit (if you have a high ping, such as people from console in South American continent, that are forced to play in NA servers). Also be careful using it to escape, if an enemy god pass in front of you, your dash will be stopped. Each time the other skills successfully hits an enemy, the Dart cooldown is reseted by 1 sec. Ratatoskr spins around himself in a area of 20 unities, doing damage and reducing enemy physical protections up to 4 times. On solo, it's a decent damage in area capable of clear the entire wave/do a good amount of damage. Also you reduce enemy protections, useful in your fights. This skill is your 1st priority. In jungle, still useful due the protection reduction and clear almost the entire camp with a single. Although I've seen people upgrading the Acorn Blast first in jungle, I recommend start with Acorn Blast and prioritize this one. Ratatoskr fire 3 acorns in a cone area each one dealing damage. Enemies hit by all 3 are stunned for 1 sec. 2nd priority to upgrade. You will need to get closer to your target to hit all 3 acorns and get the stun. In jungle, you can prioritize this skill instead Flurry due the insta damage and almost no casting time, but I personally recommend you start with this skill as your 1st one then prioritize Flurry. Ratatoskr chagers up and jump in a branch of tree of world. He can jump in more 2 branches and then choose a land location. Rat can stay 5 secs on the branches reseting 3 secs for each jump. When landing, rat does damage and knockup all enemies in the area. You can also cancel this skill to jump at current location and if marked an invalid location, rat will land in last valid location. Upgrade this skill as soon as possible to reduce its cooldown. This is where rat shines, his ultimate is a large distance ultimate that can travel a very good distance in seconds giving him a high mobility. This can be used to gank, surprise enemies, secure kills and also to save you. One of the best ultimates in the game. Although is write in each skill what should be prioritize, asked by the big muffin I will put the order here. Obs: You can delay TTC leveling if you want. More than enough to clear the wave. Go in the middle of the wave between the melee and ranged minions and use Flurry. After it, go in the front of melee minions and hit them with Acorn Blast that will also hit the minions behind. Finish with basic attacks if you need. The combo to kill an enemy. Remember that MINIONS ARE PRIORITY AT EARLY GAME. Do not fight while the enemy has minions. Start with Flurry to reduce the enemy protections. Then Acorn Blast to stun. After Dart and basic attacks. Remember to use auto-reset(a basic attack after every skill used to enhance your damage). If you think you can kill him, Through the Cosmos and repeat the combo, but be careful, don't be suicide, don't dive towers without physical defenses and at early game. The combo when you are clearing a camp. Use Flurry only at the beginning of the match, then start to use Acorn Blast first, hitting all 3 minions and then flurry to finish. Be careful wasting too much mana, use only these 2 skills if you want to be fast, if not, uses only [[flurry and basic attacks to clear the camp. Watch you Health and Mana closely: Watch closely your health and mana bar. Rat without mana is nothing and with a low health bar is an easy target at early game. Don't try to force, if you se yourself without sustain (health/mana) return base. BETTER SAFE THAN SORRY! Be careful with the mini-gods...I mean minions: Early fights usually happens with minions around. When you attack the enemy god, their minions turn to you and start to hit you. Be careful. Minions at early game are almost like gods and can do more damage than the enemy god (mainly the ranged ones) so be careful fighting around enemy minions, also you can use this tactic in your favor, trying to force the enemy fight near your minions. Also the wave has always priority over the totem of Ku! Fight for the Ku: Fight for the totem, the early MP5 and movespeed it provides will be very helpful in lane phase letting you be even more aggressive! Attack the enemy tower: When you reach level 8~10 when you will have you first defense item, attack enemy tower as soon as possible putting pressure. If you see things getting too hot for you Through the Cosmos to get out of there. NEVER DO Teleport Glyph: Just because there are better relics that can save you/your team, plus you have a lot of mobility with TTC and Dart so you DON'T need it. Purification Beads, Aegis Amulet and many others are better options. Never dive a tower at early game: Diving a tower at early game is a difficult task even to warriors/guardians (true tanks), so think now about you...No way. NO MATTER WHAT EASY THE KILL IS, DON'T GO.There are high chances of dying in the process and even die without the kill. A tower shot is half of your HP (or more) at early game. Your rotations are important: As soon as possible (when you destroy the enemy tower) start to rotate and gank other lanes. Remember: Your ultimate is so powerful and useful so don't be afraid of use it. Invades: Invade is the tactic of try to steal farms of the enemies such as buff and jungle camps. Rat can easily do it and mainly if you have cooldown you can try do this. Remember that your lane is priority so invades are only possible after clear you wave just because the wave gives much more XP and gold. Your priority to invade must be the enemy blue buff. A lot of characters are mana hungry and controlling it can be a nice way to win the lane/force your enemy retreat or play safer. You can risk yourself and go to steal other camps like the enemy speed, but only goes if TTC are online, due the obvious reason that you can easily escape with it. Help your teammates with their objectives: Although you are not a carry, you have a nice damage on basic attacks, so use them in your favor. Diving towers: Dives are possible now are possible now that you have physical defenses. Let the enemy with low health and finish him with Through the Cosmos and the other skills ( Flurry and the acorns) then use Dart to get out of the tower. Combining skills and Defending Objectives: Try to combo your skills with your teammates to defend/attack objectives such as Gold Fury. Use TCC to land into the battle surprising the enemies. Tanking: At late game be careful because you are not a true tank. Focus in eliminate the enemy squishy targets (usually the jungler, adc and mid). Be careful tanking objectives as Phoenixes or the Titan, you can't hold them much longer. Focus the Squishy targets: You usually (using the standard build) still have damage and still tank, so squishy targets, although they have a good damage, probably will suffer in your hands since you do a considerable damage and do not take that much damage. Spliting Push: Your ultimate at late game will give you a nice split push capacity. Try to split other lanes and if they come to you use your ultimate to escape, but be careful, your team will miss you a lot in a teamfight, so don't forget your team to do this, it does not worth. 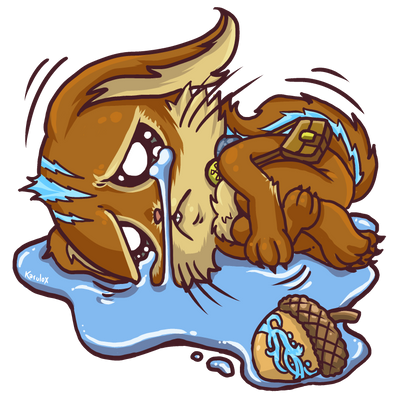 Saying goodbye to your acorn: As you probably know, Ratatoskr is faster than other assassins due his Acorn of Yggdrasil that provides 20% of movespeed, not only 18% like any other boot does. When you sell it late game and buy Elixir of Speed, it provides only 18% which means you will be slower, and trust me, this 2% is something that you notice, so, unless you REEEEAAAAALLY NEED something different, I strongly recommend you buy an item that increases your movespeed like Masamune. Start being passive: Try don't fight without your skills. Until you reach level 3 I don't recommend you fight unless it's inevitable. When your acorn and some other part of an item is done, do the camp marked with an square. Be Aggressive: After all 3 base skills are online, be aggressive. The early game is yours so be aggressive and make some early ganks if the enemy are at a bad position to get some early kills. Fight for the Ku: It's a good idea help your solo get the Ku right after a gank, but remember that the totem DOES NOT make the solo a priority. If it's viable gank it and then get the totem, ok, but if it isn't, also ok. Totem status are something useful, yes, but not something that worth sacrifice yourself to get it. Through the Cosmos: When TTC* is online, this is when the real fun begin. 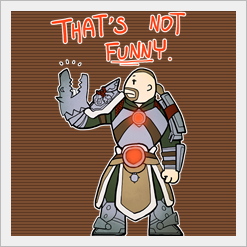 Start ganking using it to surprise your enemies. ALWAYS call to your teammates follow your attacks to increase the chances of success. You can also use TTC to escape from a tough situation such as when you jailed by Ring of Spears or when there are enemies all around you. Farming and getting bigger: Rat has very good clear wave and can easily stay 2 or more levels ahead if played right. Remember to farm as much camps and buffs as you can and you can also farm minions lane when you teammate has returned to base. Do not forget ganks but also do not "only gank", find a way to match both things. Start to rotate:. Usually the solo is the most independent lane, so prioritize the Duo Lane and Mid Lane. Remember that Solo characters most part of the times can't carry a game, but Mid and ADC can, so focus making the enemy adc and mid behind. You may still ganking the solo just to lower the pressure. Also, solos usually have protections so they can easily tank you. Anyway, prioritize Duo and Mid. Pay attention on the lanes: As a Jungler, you have the task of lower the pressure in lanes by making a gank if you see your ally is being forced play too much passive. Invades: Invade is the tactic of try to steal farms of the enemies such as buff and jungle camps. Rat can easily do it and mainly if you have cooldown you can try do this. Some buffs have priority such as Speed (yellow) and Damage (red), 'cause a enemy without speed means less speed to reach camps and ganks and the red I think I don't need say anything :v , but be careful, invading in jungle is a much more complicated task. You have to be sure about what you are doing and if you are not losing anything else (for example, you invade and secure enemy damage camp, but the enemy secures your speed and mana (blue), so it didn't worth.). Also be careful, instead you help a teammate you go steal some camp doesn't worth too. Late game came, what should I do? : This is where you fall apart. If you did a bruiser build, you probably are not doing a big amount of damage, and if you did full power you probably are dying for anything. This is the time you have to use carefully your brain. Follow the next tips. Group Up: Stay close to your team and help them do the remaining objectives. Try to use you kit to help them get kills and Secure some people trying to get out alive using TTC. Spliting Push:You can be a good distract, since you pretend do a split push and when enemies came to your position you get out of there using TTC and a teammate can do a real split push on the opposite side or to force enemies stop fighting with your team. If no one comes, you can destroy the tower/phoenix, but be careful to don't let your entire team without help, doesn't worth. This build will provide to you some good damage on early and mid game and some tank capacities on late game with a decent power. Blackthorn Hammer provides a ridiculous amount of HP early game making you hard to kill due the damage + HP you have early game. Void Shield will combo with your skill reducing a good amount of physical protections, Ancile will break magical combos, Mantle of Discord will provide a CC immunity and a stun in area when dieing, perfect to escape, and for last but no least, Magi's Cloak will provide you CC immunity with a reasonable cooldown, stopping hard CCs that can make you die easily. If you are fighting against a magical enemy, rush Ancile before Void Shield. This build will provide to you a very good tank capacities. You DO NOT DO A GOOD AMOUNT OF DAMAGE, as probably you are used to with rat, bbbbuuuuutttt, you also will not die easily and can be a front line with this. The Breastplate of Valor will provide everything you need against a physical enemy (cooldown/physical protections/mana and MP5). If you are not facing a physical enemy, rush Pestilence and if the enemy also is not a healer maybe Genji's Guard or Oni Hunter's Garb are better options to rush first than breastplate. After you have both magical and physical, the next item is a situational, but you can go, for example, to Midgardian Mail, to counter basic attack gods as Erlang Shen, Kali, Cernunnos, Apollo... Mantle of Discord will give you a good amount of protections combined with a stun and cc immunity when you reach a low health stats and for last but not least Lono's Mask will make you an EXTREME TANK mitigating a very good part of the damage you take but also you won't be able to do damage since it removes your damage on the other hand. A normal tank build, I called it "Ratatank". Protections everywhere to keep you a tank and some power using Masamune (can be changed in Brawler's Beat Stick and/or be built early if needed). The damage here is ok while your tank capacities are also ok. An standard solo laner. The Breastplate of Valor will provide everything you need against a physical enemy (cooldown/physical protections/mana and MP5). If you are not facing a physical enemy, rush Bulwark of Hope (maybe Genji's Guard or Oni Hunter's Garb are better options to rush first than breastplate). Magi's Cloak will stop hard CCs that makes you die easily. Same for Mantle of Discord when you are dieing with a plus that this item is offering high defenses and Masamune for last, will provide you some power to help you with your scales without forget to give to you health and more protections based on how much enemies are near you. Use this build ONLY IF YOU AND YOUR TEAM ARE VERY AHEAD. Some extra damage to kill the brainless enemies you will be fighting. If you feel you need some protections then do it, even ahead. DO NOT WAIT START TO DIE A LOT TO CHANGE THE BUILD. This build is very situational, be careful using it. Standard Jungle Build. Void Shield and Ancile helps with early protections on early game and some power. Void provide a good protection reduction that combined with Flurry will make you (almost) do true damage. Ancile stops enemy combos, plus the cooldown and power with protections are also welcome. If you are facing multiple magical enemies, rush this item first. Maybe gank middle lane (usually where mages are). Hydra's Lament enhance you damage potential drastically since auto-reset in a rat is extremely easy to do and necessary to blow enemies with your burst potential. Transcendence will give you the power you need when you start to fall at late game + a lot of mana, and Mantle of Discord helps giving you more protections and a very nice passive, capable to save your life. Everything you need: protections, mana, damage and cooldown. An alternative way to go jungle. Shifter's Shield provide a big power on early game (35 + 35 with its passive) allied with protections if you start to die. This early build was used at SPL and the guy simply destroyed the enemy team. Then comes Ancile to stop magical combos plus the power and protections with some little cooldown to help with your ultimate (since hr applied an unnecessary nerf). Hydra's Lament enhance you damage potential drastically since auto-reset in a rat is extremely easy to do and necessary to blow enemies with your burst potential. Masamune to keep some tankiness with power and movespeed and for last but not least, Spirit Robe providing protections with cc reduction, cooldown and mitigation when affected by CCs. If the enemy team does not have a lot of CCs then go into mantle of discordia way. A full power build that can really explode the enemy. Early/mid game, with this build, you will easily win, but late game you can't jump into a fight without dying. So this build is recommended when you get brainless enemies and you get very ahead of them so you can abuse and try to force a surrender before late game. If they didn't surrender and you feel that you are starting to die very quickly, start to rush some defenses such as Mantle of Discord. In this section I will see how some items works on Ratatoskr and their viability in a build to this "god". Providing a ridiculous amount of HP early game + a passive that gives you cooldown and mana changing according to what you need and some power, everything for only 2k gold. Totally worth in both roles and mainly early game. This item offer a huge CDR allied with mana power and pen being an excellent item for those who look for maximize the use of your skills. In jungle, excellent item, high viable, in solo although it still functional, however if you are looking for cooldown you can find it on items with also defenses as Ancile (onseelay) better for solos. This item offer just good stats (nothing special) and a useful passive that avoid you become mana hungry and also apply extra damage on your next skill when fully stacked. Can be useful in a burst build on jungle combined with Hydra's Lament and Transcendence however, there are better items for him and usually, Hydra's Lament is more than enough on a burst build. This item fell a lot on him since now the most useful build to him is with more defenses and less power. In solo this item has almost no function. Since you will not be able to build a lot of power so the passive is almost useless and the stats also doesn't worth. In jungle jhis item offer nice stats early game and a useful passive that apply extra damage on your combo, helping with burst damage plus the AS is good for early camps clear. Recommended to be built early. I don't see any motives to build this item on solo lane. It offer nice stats at all and can be useful even when the enemy does have healings/huge lifesteals. Gives you power and penetration and stop part of the enemy healing. A must item if there are Gods that heals in the enemy team or huge lifesteals as Anubis with double or triple lifesteal. Extremely easy to apply with your skills and plus, in solo all enemies uses something to sustain themselves, selfhealing, potions, lifesteal, and you counter everything with just one item. In the jungle, Trans brings a high power, perfect for you on the scalings of your abilities and also provides a huge mana pool letting you be much more aggressive and cast a lot of skills without become mana hungry. In solo I can't see much useful for this item. Yeah, it can be a decent item to keep you ahead (if you are), but honestly, there are better items for solo. In the jungle, Bloodforge brings a high power without stacking but for also a high price, perfect for you on the scalings of your abilities and also provides a lifesteal on your basic attacks (not so useful) and a very good passive that can help you stay alive to attack other enemy or retreat after get a kill, so you can go hard on a squishy target and after the kill you are protected by a little shield and also gain a boost on movespeed. In solo, this item doesn't have much utility, since you are not going to get a lot of kills and if you are looking for lifesteal on solo, then buy Soul Eater that is more useful, however this item provides a very good amount of power without stacking and it can be a decent item to keep you ahead (if you are), but honestly, there are better items for solo. In the jungle, this item can be useful if fight against a tanky comp with people using 3 or more gods building protections. Against squishy targets, buy flat pen items that combine better with you Flurry. In solo, it can be useful for the same reasons but you as solo usually are not interested in do a good amount of damage on enemy tanks. Physical protections, power a lot of power. You gain 70 physical power while above 50% health and when below it, 35 protections (Physical and magical). Extremely good if built early on jungle capable of let you start a snow ball. In solo also works, but there are better options and your focus in solo is get somehow tank, and this item only has a decent amount of protections if you are below 50% of your health. Excellent item for a cheap price (not so cheap now with the nerfs). Provides a good amount of power, decent magical protections and CDR reduction allied with a passive that silences the enemy. Useful if you are fighting agaisnt a Cerberus solo and he uses Ghastly Breath or Belch of the Gods of Bacchus stopping these skills cast and since rat easily get closer of his enemies apply this passive isn't a problem for you. This item will give to you some health and power. Plus the passive makes you gain some tankiness while near the enemies. An excellent replacement for your Acorn of Yggdrasil late game. What's make rat so good at solo? This item is one of the keys to answer it. A MUST ITEM if you are facing physical enemies. This item restores part of your health and mana for each time you hit a damage skill on an enemy god, and since rat has 4 damage skills, you can easily apply this healing yourself so much and plus you have the healing from the Acorn of Yggdrasil too. This item works very well with him and can be even better than Soul Eater if you are build items with health and you also don't have to stack this one. Viable even in jungle for the same reasons. Remember that this an EARLY GAME item and should be build as the 1st or at max the 2nd item after your acorn and you can change this item late game for something more useful. For jungle this item CAN be useful when you are facing multiple physical threads and its offering physical defenses, mana, mp5 and the most important, cooldown reduction letting you use your skills more often including your ultimate, that can REALLY SAVE YOUR LIFE/SECURE A KILL. However in jungle you usually are looking for power and burst, so you may consider this item sometimes, but Void Shield is definitely a better option in most part of the times. In solo this item is good, mainly if combined with Soul Eater or Gladiator's Shield that will let you heal a lot due the cooldown, but remember that a bruiser rat is always recommended just in some cases you should build a full tank. For jungle this item CAN be useful protecting you from the enemy magical damage, excellent when there is a mage building high pen early on, looking for true damage/ you also counter enemy healings of all types, but still very situational in jungle, you are served most part of the times with Ancile (on-see-lay). Same for solo. Combining this item with Brawler's Beat Stick will remove a good amount of healing from your enemy, but again, if there aren't healing/double or triple lifesteal, brawler's is more than enough to reduce the enemy healing then build onseelay. For solo only, this item will help you with team comps that uses a lot of knock ups/backs, grab and other things that activates this passive this item can be very useful. It provides a huge HP pool and also nice HP5/MP5 + the healing from the passives that can make you really hard to kill. Remember that rat has the lowest HP pool of all assassins so this item will definitely help you still alive. In jungle is questionable how useful this item can be. As jungler you don't want to be the front line or take the enemy skills, so I don't think it worth. Also, be careful with the anti heals!!! This item offer really nice stats for you in both roles. In jungle, especially when you are ahead, build this item provides nice protections and good mana/health + after the stacks the shield is very welcome to you jump into the fight. In solo this item provides everything a solo laner needs so, it's high viable. This item is better be built as 3rd or 4th item since you need to stack with kills and assists (unless your conq match is more like an arena match). Provides CDR, high protections and a useful passive that can really help you stay alive/secure a kill. This item is very efficient in both roles and ir recommended you build it as an late game item (5th or 6th) or even the replace for Acorn of Yggdrasil late game after (and if) you buy the Elixir of Speed due the high cost it has. An item to consider instead of Mantle of Discord. This item provides less protections than discord, however, it also provides 20% CC reductions, that is awesome in teams with a lot of stuns, fears, taunts...And also a decent passive that can make you even more tanky on solo and really helpful on jungle, when you are catch by CCs. In teams with high CC, do this item instead of Mantle of Discord, in other cases you can go by discord way, but this item still a good option and can also be considered. Provides a reasonable amount of health, decent magical protections, some cc reduction and a passive that can be helpful on saving your life/stay you alive for some extra time giving you a max shield of 350 HP capable for 20secs when you are dying. (internal cooldown of 60secs). Solo can be extremely useful to keep you tanking something like a tower for a little more and can be also used in jungle if you are facing a mage that has a heavy burst on his kit. Provides a good amount of health, some physical and magical protections, some cc reduction and a strong passive that can make you a TRUE tank, but...you will not able to do a good amount of damage. In jungle, don't even think in build this, completely useless, but, in solo, if your team already have a giant damage output you can build this to be fully able to invade a tower/phoenix/titan and tank it. Due the nerfs on the damage dealt, I believe this item do not worth so much anymore. Provides a decent amount of health, high magical protections, some cdr reduction, a very good amount of MP5 and a good passive that can make your skills become online faster. In jungle, this can be decent situational defense against magical enemies, and a good way to stay you in battle for more time due the MP5. 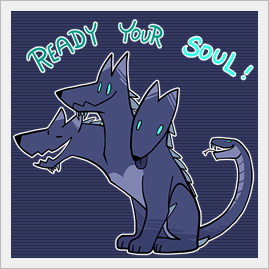 In solo, can be a strong item 'cause all the stats are welcome on a solo Ratatoskr, so, if you are not building Ancile, consider this. Provides an amount of health, good magical protections, some cc reduction, a very good amount of MP5 and a good passive that can make you be more tank when in the middle of your enemies, applying extra mitigation when enemies are near you. In jungle, it is useful if you are being kind of suicide and jumping in the middle of the teamfight and the enemy team focus you, and for solo, same thing, but you naturally have more defenses when solo so you will see this item efficiency increased. My conclusion is that Rat is working very good at solo lane (An A+ solo laner), and still a good character at jungle (an A to A+ jungler) and can be a very fun character to play in both roles. Following the quick guide I posted here you will do a nice job with him in both roles. If you have doubt about a solo rat, see this! 03/11/19 - Guide fully updated to the current meta. 11/22/18 - Updated solo build descriptions to make it more clearly + other guides section. 11/21/18 - Updated a lot of things based on bran's feedback. 11/19/18 - Changed some builds and updated their descriptions + updated how to play. 11/13/18 - Added a Jungle part in all sections of the guide. 11/05/18 - Updated the mention to other guides. Added some videos proving rat is a solo laner. 11/04/18 - Added Builds section, skills combos content and a mini changelog. 09/25/18 - Guide created for solo only. Myst, check out this rat game I played. Hope you're proud of me! xD I take it you didn't actually look at the link? 140100 boogiebass xD I take it you didn't actually look at the link? Trust me, I did worst in along my almost 30 ratatoskr masteries. 140104 xmysterionz I looked :v Trust me, I did worst in along my almost 30 ratatoskr masteries. 140106 Branmuffin17 Hey what about me? What about you? You didn't go 1/11. 140107 Gulfwulf What about you? You didn't go 1/11. He lost with both taco AND muffin. 140108 Branmuffin17 He lost with both taco AND muffin. I love how in depth this guide is. Really helped me a lot. Just one question. Why a trans on damage build? Why not rush into a jotunns, then hydras, crusher, bloodforged, and maybe then a spirit robe for late game, then possible titans after you sell acorn? Just curious because thats how I've been doing the high damage if I'm just trashing people. 139338 xCudz I love how in depth this guide is. Really helped me a lot. Just one question. Why a trans on damage build? Why not rush into a jotunns, then hydras, crusher, bloodforged, and maybe then a spirit robe for late game, then possible titans after you sell acorn? Just curious because thats how I've been doing the high damage if I'm just trashing people. First of all, hello xCudz, I'm glad that it helped you. Now to your question: Why rush trans on a full damage build? By saying this, I'm assuming you are talking about my jungle "full damage build example", correct me if I'm wrong. Why trans first? Well, you are a Ratatoskr so you won't miss any damage early game by doing trans. When it is finished, you will have a lot of mana, keeping you more time in the jungle, farming, and letting you use and abuse of your skills, plus, trans gives A LOT OF POWER when fully stacked, so you will become literally a beast mid game. 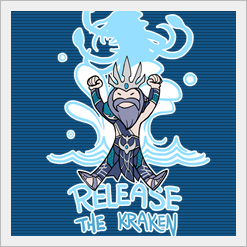 Then I go to Hydra's to enhance the burst power and jotuns to get full cooldown. As said in the notes of this build, the objective is just build a full power rat, if you wanna some bruiser rat (that I personally recommend), you can check the other builds, including the standard build. Your suggestions are also fine, although I would get TB before spirit robe. 139339 xmysterionz First of all, hello xCudz, I'm glad that it helped you. Now to your question: Why rush trans on a full damage build? By saying this, I'm assuming you are talking about my jungle "full damage build example", correct me if I'm wrong. Why trans first? Well, you are a [[ratatoskr]] so you won't miss any damage early game by doing trans. When it is finished, you will have a lot of mana, keeping you more time in the jungle, farming, and letting you use and abuse of your skills, plus, trans gives A LOT OF POWER when fully stacked, so you will become literally a beast mid game. Then I go to Hydra's to enhance the burst power and jotuns to get full cooldown. As said in the notes of this build, the objective is just build a full power rat, if you wanna some bruiser rat (that I personally recommend), you can check the other builds, including the standard build. Your suggestions are also fine, although I would get TB before spirit robe. I prefer the bruiser void + ancile build that you have, unless my team is just trashing people. I was just curious. Thanks! 139340 xCudz I prefer the bruiser void + ancile build that you have, unless my team is just trashing people. I was just curious. Thanks! The hell? Why did i not upvote this? Upvoted. 138177 boogiebass The hell? Why did i not upvote this? Upvoted. Well i upvoted now. Better late than never. 138187 boogiebass Well i upvoted now. Better late than never. Real funny coming from you, Tlaloc. 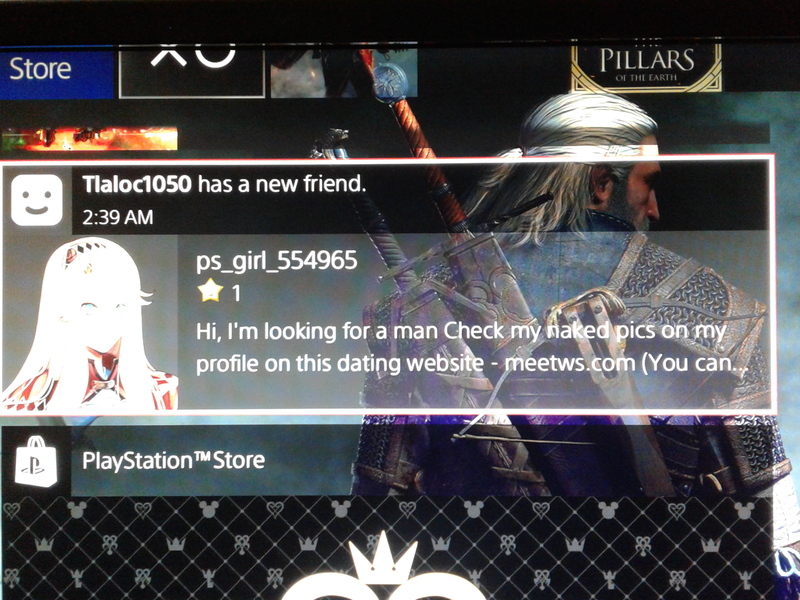 Hope this ps_girl_554965 is satisfying you at 2:39AM. 138350 xmysterionz [quote=Tlaloc1050]BOLD OF YOU TO ASSUME THAT I'M NOT A GIRL[/quote] It's a trap! 138341 Branmuffin17 My comment stands. 138340 Gulfwulf Here's a tissue. <3 "Antes tarde duken nuke"
138188 xmysterionz <3 "Antes tarde duken nuke"
I can't believe you told this joke. 138217 Vini_sds I can't believe you told this joke. Comments below here are from Season 5 and above from Season 6. Updated to S6 Patch 6.1. Because the god is Ratatoskr. He uses Acorn of Yggdrasil instead of boots. Sort of like his unique ability. 134469 Gary169 Because the god is [[ratatoskr]]. He uses [[acorn of yggdrasil]] instead of boots. Sort of like his unique ability. In your build example writeups, you may think about discussing the specific merits of your item choices in those examples. For instance, your 2 tank builds start with Breastplate of Valor, which is obviously for facing physical Solos...but the other part here is that you start out with high CDR, which might allow you to change your gameplay up a bit. But you don't talk about the early CDR at all. That's just one example. Other choices are definitely situational, but your Extreme example has both Pest for anti-heal, and Midgardian for anti-basic attack. Fine examples, but only if you're facing multiple basic attackers, for example, and the Support doesn't get Pest themselves. Your Jungle alt build example 2 overcaps CDR...just FYI. In your ability chapter, your blue grammar "This skill resets Dart cooldown in 1 second" makes it sound like you use the ability, and Dart becomes available in 1 second. Obviously that's not the case. The statement you want to use is "This skill reduces Dart's cooldown by 1 second." Feel you should offer an example of skill leveling. It's fine that you describe in the writeup, but quick reference at the top is important. Spoilers within spoilers don't work, unfortunately. Suggest getting rid of those as it just adds clutter. Since Rat's strength is in early-mid, you may consider talking about trying to steal farm in those sections of the game. Would allow you to place some aggressive wards as well. Okay, now that I'm on a PC I can properly reply you. First of all, thanks to your feedback, it is always welcome. VER = "You rock!" or as Ratatoskr would say "You are stronger than I heard"! About the farming, I will think where I can put it and what I can say about it. And the rest I already did it. 134305 xmysterionz Okay, now that I'm on a PC I can properly reply you. First of all, thanks to your feedback, it is always welcome. VER = "You rock!" or as Ratatoskr would say "You are stronger than I heard"! [list] [*] About the build explanations I will redo it asap talking more specifically but I don't want to be long :p [*] About the farming, I will think where I can put it and what I can say about it. [*] And the rest I already did it. [/list] Thanks to your feedback! Finally it's over! It became longer than I intended but whatever, the important is that this guide finished. 134158 xmysterionz Finally it's over! It became longer than I intended but whatever, the important is that this guide finished. Your solo final build example would actually be a decent jungle build. 134163 Kriega1 Your solo final build example would actually be a decent jungle build. Yep. I just prefer when I'm going to jungle get some extra power. 134164 xmysterionz Yep. I just prefer when I'm going to jungle get some extra power.